Below is a review of how the selection process concluded for each Big Ten team and what they should expect in the first few rounds of the upcoming NCAA Tournament. Michigan State, #2 seed, East Region. 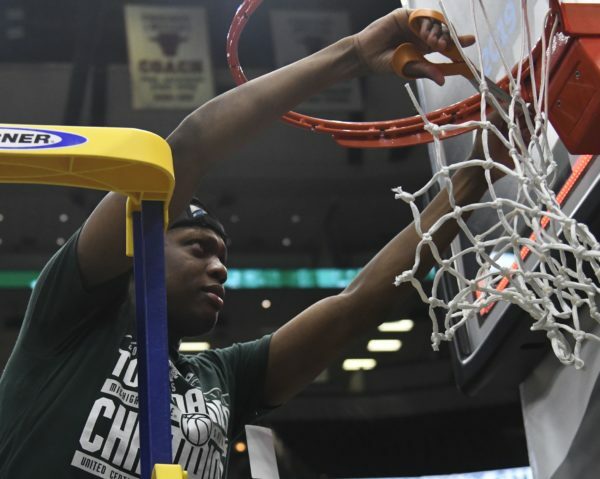 Michigan State backed up its regular season conference co-title by beating Michigan on Sunday en route to the Big Ten Tournament title. It was the Spartans’ third win over the Wolverines in three weeks, giving them more Quadrant 1 wins than any team in America. Their reward? A potential date with #1 overall seed Duke in the Elite Eight. Of course, Tom Izzo’s club will have to get there first, which is easier said than done. Assuming it gets past #15 Bradley (and it’s never safe to assume), Michigan State would play either Louisville — a team it lost to in November — or Big Ten foe Minnesota in the Round of 32. Still, the Spartans are superior to both teams and should reach Washington, DC. Once there, a win over #3 LSU or #6 Maryland (or Cinderella) would set up a highly-anticipated matchup with the Blue Devils. With Cassius Winston at the helm and forward Nick Ward back in the lineup, Michigan State has enough depth and physicality to hang with the Blue Devils for 40 minutes. Whether it’s enough to beat a trio of top-5 NBA Draft picks remains to be seen. Michigan, #2 seed, West Region. The Wolverines hung on to a #2 seed despite dropping five of their last 13 games, setting up a rematch with Montana, which they played in the First Round as well just last March. Like that contest, Michigan’s elite defense should have no problem shutting down the sharp-shooting Grizzlies. A Second Round date with #7 Nevada or #10 Florida — both inconsistent down the stretch — also poses little danger to last season’s National Runner-Up. A trip to Anaheim, however, would be a different story. Assuming #3 Texas Tech avoids another bizarre upset, Michigan would likely face the Red Raiders in a Sweet Sixteen matchup between the nation’s two stingiest defenses. Are the Wolverines capable of winning that game and knocking off #1 seed Gonzaga for another trip to the Final Four? Absolutely. But their up-and-down offense will have to start scoring more consistently for that to happen. Wisconsin, #5 seed, South Region. What are we to make of the Badgers? Always beloved by advanced metrics, Wisconsin finished the season ranked #12 overall in KenPom thanks to a rock-solid defense that led the Big Ten in efficiency during conference play. Not to mention Ethan Happ (17.1 PPG, 10.5 RPG, 4.6 APG), who ranked among the league’s best in nearly every statistical category known to man. One category not worthy of praise, of course, is free throw shooting (46.5% FT), which has proved to be Happ’s — and perhaps the team’s — kryptonite this season. That could be an issue against a red-hot Oregon team that has size, length, and fouls at a high rate. The #12 Ducks are good enough to beat Wisconsin and may well do so if they grab an early lead. If the Badgers can control the game flow, though, wins against both Oregon and an equally methodical, defensive-minded Kansas State team in the Round of 32 are also within the realm of possibility. For a team with only one consistent offensive threat, a fourth Sweet Sixteen berth in five seasons is probably Wisconsin’s ceiling. Much like 2019’s third installments of the Duke/North Carolina and Kentucky/Tennessee trilogies, this season’s third chapter of the Michigan/Michigan State rivalry was an epic that went down to the wire. The Spartans fought back from an 13-point second half deficit and used a ridiculous Cassius Winston drive and lay-in with 29 seconds remaining to ensure they finished the season 3-0 against their biggest rival. The following are three key takeaways from Sunday afternoon’s Big Ten Tournament championship game. Cassius Winston willed Michigan State to victory. Some special points guards have come through the Michigan State program during Tom Izzo‘s 24 seasons in East Lansing, and it is becoming increasingly cleare that this season’s Big Ten Player of the Year should be considered among that group. Winston was incredible throughout the second half of today’s championship game, as he led the Spartans back from a 13-point deficit by tallying 11 points and seven assists in the game’s second stanza. 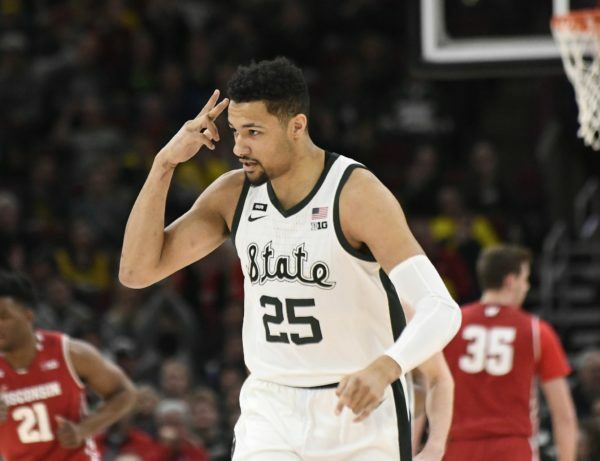 Michigan State could have packed it in and preserved its energy for the NCAA Tournament when it faced the significant uphill climb, but a player like Winston does not have “pack it in” in his DNA. 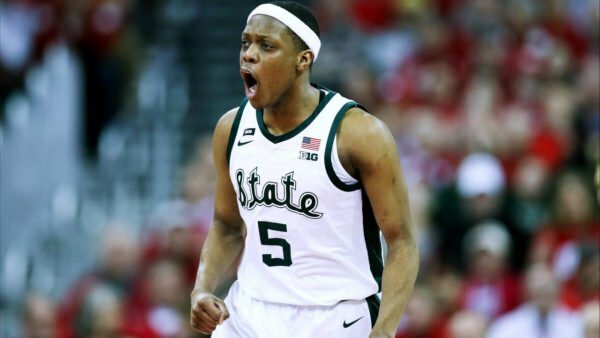 Michigan State has not advanced past the NCAA Tournament’s first weekend since 2015, but with Winston at the controls and his teammates fully receptive to his leadership, it will be truly surprising if the Spartans do not advance to this year’s Sweet Sixteen and perhaps beyond. This season has been one of Tom Izzo’s best coaching jobs. It is not unusual for the Spartans to enter the NCAA Tournament as both the Big Ten regular season and tournament champion, as Michigan State is one of the country’s strongest programs year in and year out. That said, Michigan State had every reason to take a step back this season. For starters, the Spartans lost two lottery picks from last year’s team, so their roster was simply not as talented as it was a season ago. Then once the season commenced, the injury bug hit the team with an unrelenting fury. Scoring guard Joshua Langford was lost for the season in late December with an ankle injury. Forward Nick Ward suffered a hand injury in February. Winston himself battled through knee and toe ailments throughout the final portion of conference play. Role player Kyle Ahrens was hampered by a bad back during Big Ten play before suffering what appeared to be a serious ankle injury in the win over Michigan. Despite the locker room sometimes resembling a MASH unit, Izzo adjusted with what he had available and led his team, once again, to the top of the Big Ten. Michigan’s inability to close out Michigan State this season will keep John Beilein awake at night. Michigan is headed to the NCAA Tournament with a 28-6 overall record, which, by every measure represents an excellent resume in one of the country’s toughest conferences. Even with that sterling mark, the Wolverines must be driving themselves crazy over the fact they blew three leads against Michigan State this season that led to three losses. On February 24 in Ann Arbor, Michigan led 51-45 with 15:57 to play and ended up losing 77-70. On March 9 in East Lansing, Michigan State pulled out a 75-63 victory after it trailed by 12 in the first half. In Sunday’s title game, the Wolverines led by 13 with 17:12 to play before the Spartans rallied to once again earn a victory. One has to believe that John Beilien and his group making deep run in the NCAA Tournament will be the only thing that will eliminate the bad taste left in their mouths by those defeats. Player of the Game. Matt McQuaid, Michigan State. The senior sharpshooter saved his best Big Ten Tournament performance for his final Big Ten Tournament game. McQuaid finished with a career-high 27 points on 8-of-15 shooting (7-of-13 from behind the three-point line) and it seemed like each time Michigan State needed a big basket during its comeback, the senior from Texas stepped up and buried one from the perimeter. McQuaid’s defense on Michigan guard Jordan Poole was also noteworthy, as Poole was limited to just 3-of-11 shooting and had to work hard for every one of his attempts. Role players stepping up in March is crucial to a team’s success and McQuaid certainly filled that role in the victory today. What’s Next. Michigan State earned the #2 seed in the East Region and will be playing #15 Bradley in Des Moines on Thursday. Michigan also earned a #2 seed in the Des Moines pod, where the Wolverines will do battle with #15 Montana. While Minnesota‘s upset victory over Purdue on Friday night prevented the Big Ten’s top four seeds from all advancing to the conference tournament semifinals, Michigan State, Michigan and Wisconsin making it through to Saturday encapsulated how much of the conference season was dominated by the league’s top teams. The league will still likely send at least six teams to the NCAA Tournament — depending on your feelings about bubble teams Ohio State and Indiana — but this weekend’s action further illustrated that the class of the league possesses the necessary firepower necessary to make a significant run in the main bracket. Tomorrow’s Michigan State vs. Michigan final will crown a Big Ten Tournament champion, but it will also give the national audience a glimpse at two of the few Big Ten teams that can make some noise when NCAA Tournament play commences. Here are some of the key takeaways from Saturday afternoon’s action in Chicago. Cassius Winston is Michigan State’s star, but the Spartans need their role players to continue their strong play. The Big Ten Player of the Year turned in another star effort on Saturday afternoon, finishing the semifinal game with 21 points and six assists. While Winston’s heroics are mostly expected at this point, it has been the emergence of Michigan State’s role players that has been an important component in the team winning nine of its last 10. That was on full display in today’s win over Wisconsin. Veteran forwards Kenny Goins and Xavier Tillman were outstanding against the Badgers, combining for 30 points and 19 rebounds while providing the Spartans with stout defense in the post. Freshman swingman Aaron Henry also turned in a noteworthy performance, as he continued to make strides in his all-around game by collecting 11 rebounds. For the Spartans to get to Minneapolis, they are going to need the team’s complementary players to continue to turn in impressive efforts — Winston is a terrific player, but he cannot take Michigan State to the Final Four on his own. The role players Tom Izzo has developed seem capable of making sure Winston has the necessary help to put together a deep run. Wisconsin’s plodding offense could be its downfall. Throughout most of Wisconsin’s 20+ years of sustained success, the Badgers have been synonymous with a low-tempo offensive attack that limits possessions and aims to take as many high percentage shots as possible. That strategy has served Wisconsin very well in the past, but Saturday’s loss to Michigan State showed this Badgers team may have to make a few tweaks if they want to advance in the NCAA Tournament. The Spartans ran out to a 15-4 lead to begin the game and Wisconsin’s lack of offensive prowess made that early deficit nearly impossible to overcome. The Badgers finished the game shooting just 35.3 percent from the field and a ghastly 10.5 percent from the three-point line. Starters D’Mitrik Trice, Brad Davison, and Nate Reuvers combined to shoot just 5-of-26 from the field and their inability to get anything going resulted in Michigan State putting more of an emphasis on containing standout forward Ethan Happ in the post. Greg Gard will need to scheme a plan to get his offense back in rhythm or there will likely be a repeat of the Michigan State loss awaiting the Badgers in the NCAA Tournament. Postseason Michigan is back and looks to be dangerous as ever. John Beliein‘s program went a combined 15-2 in the 2017 and 2018 postseason — the Wolverines are the two-time defending Big Ten Tournament champions, and they went to the Sweet Sixteen and National Championship game in successive seasons. If this week’s results are any indication, Michigan seems bound for another successful postseason run. After a convincing win over Iowa in Friday’s quarterfinal, the Wolverines destroyed Minnesota in Saturday’s semifinal. Like in most of its victories this season, Michigan was led Saturday by junior floor general Zavier Simpson, who contributed 15 points and nine assists to the dominant effort. Sophomore forward Isaiah Livers came off the bench and poured in a career-high 21 points on an 8-of-10 shooting performance. The Wolverines entered the game second in the country in defensive efficiency and their suffocating effort on that end of the floor set the tone in the first half which allowed Michigan to go into halftime with an insurmountable 38-19 lead. Tomorrow’s Michigan State vs. Michigan championship game should be a dandy. Sunday’s title game will be the third time the Spartans and Wolverines will meet on the hardwood this season. Michigan State won the first two match-ups against its intrastate rival by using strong second half charges to emerge victorious. Tom Izzo and John Beliein are two of college basketball’s most talented tacticians and respected leaders. Cassius Winston and Zavier Simpson are two of the country’s most valuable point guards. 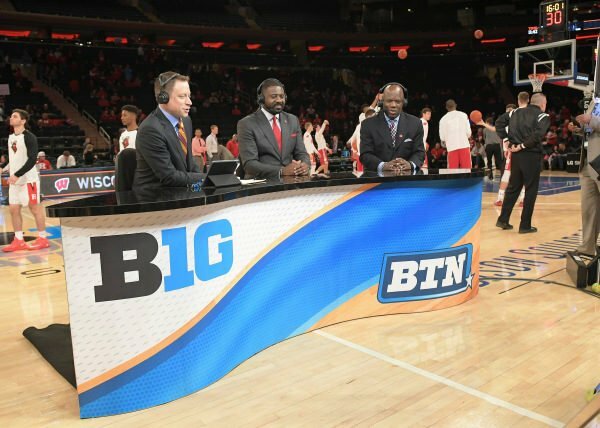 If you are a college basketball fan, you will be well served to catch Sunday afternoon’s battle for the Big Ten Tournament title. “Kenny (Goins) has probably been the guy that has changed our team throughout the last two and a half months. He is one of our best defenders. He is our best rebounder. He is maybe our best-conditioned guy, and he has really figured out how to shoot the ball and does it with high percentage.” – Michigan State coach Tom Izzo, commenting on the emergence of senior forward Kenny Goins. “They obviously came out and they were knocking down almost every shot. They were hitting every three, getting to the rim, and things like that. I think we just have to start faster with a different mindset, especially on the defensive end.” – Wisconsin guard D’Mitrik Trice, acknowledging how Michigan State’s quick start ultimately sealed his team’s fate. “I am going to throw it in the green river.” – Minnesota coach Richard Pitino, describing what he is going to do with the game tape from his team’s blowout loss. Michigan is just 11 games into the season but this is already turning out to be John Beilein’s magnum opus. It was reasonable to expect that the Wolverines would take a step back from last season’s national runner-up performance, but Michigan — fueled by an elite defense (third nationally, per KenPom) — has just continued chugging along. A team that lost three starters has already locked up a trio of top-15 offenses (Villanova, North Carolina and Purdue), and when necessary, has also shown that it can dictate tempo. In the Wolverines’ ACC/Big Ten Challenge win over the Tar Heels last month, Michigan struggled with the pace of the game early until settling down and holding the Heels to just 46 points over the final 33 minutes. Some of Michigan’s defensive success is attributable to how the Wolverines defend ball screens. Beilein teaches his players to “surf” ball screens, where the guard gets over the screen while the big man forces the ball-handler to move sideways or retreat. But the most vital part of any ball-screen defense comes with off-ball rotations, and the Wolverines are particularly adept at rotating and guarding in mismatches. 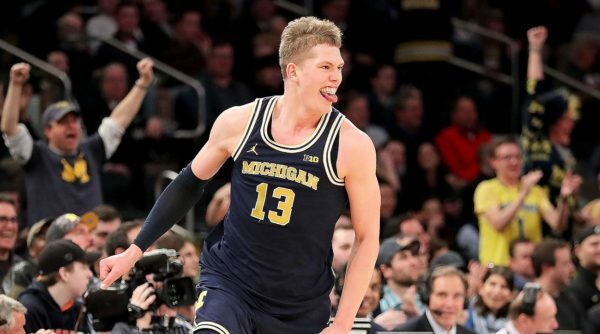 Long and athletic players like Ignas Brazdeikis, Charles Matthews and Jordan Poole give Beilein great defensive versatility: all three can guard the wing, and Matthews and Brazdeikis in particular can defend the post too. 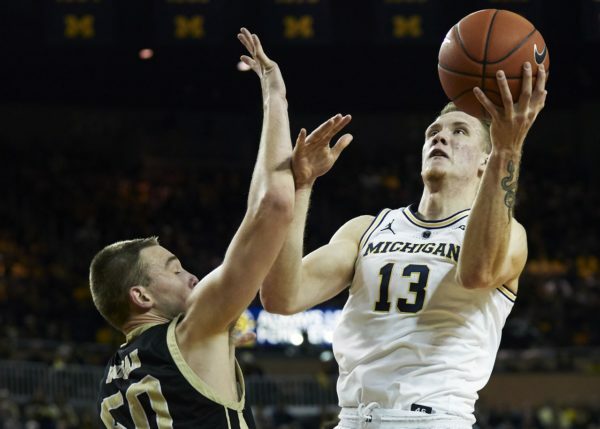 Jon Teske has also developed into a defensive force; the anchor in the post has already logged four games this season in which he has recorded three or more blocks. Is the Big Ten Better Than Expected? Before the season began, there was a lot of skepticism nationally about the Big Ten, a conference that placed only three teams in the preseason AP Top 25: Michigan State (#10), Michigan (#19), and Purdue (#24). After Michigan State was thoroughly dominated by Kansas at the Champions Classic, the rhetoric only became more harsh. The conference’s presumed best team had been outplayed in every aspect by the Jayhawks, so experts and fans alike were left to wonder if the Big Ten was even worse than previously thought. Two weeks into the season, however, has introduced a different narrative — one of depth and quality rather than shallowness and despair. Although Michigan State began the year as the highest-ranked team in the Big Ten, it appears as if its intrastate rival, Michigan, might just be the best team in the league. In the Wolverines’ Gavitt game, they dominated Villanova from start to finish en route to a 73-46 road win. John Beilein‘s squad, which has been led so far by freshman Ignas Brazdeikis and junior point guard Zavier Simpson, has the best defense in the country (per KenPom), and the Wolverines are particularly adept at turning turnovers (14.9% TO Rate) into points. Michigan’s next big test will be in the ACC/Big Ten Challenge next week against North Carolina. Indiana also beat a ranked team when the Hoosiers easily knocked off #24 Marquette at home. While the Hoosiers took a one-point loss to Arkansas on Sunday, Archie Miller’s squad is already showing flashes of the team that it could become. The freshman backcourt of Rob Phinisee and Romeo Langford is talented and dynamic, serving as a better complement to Juwan Morgan than he’s had in the past. The biggest question for Indiana will be whether they can consistently win away from Assembly Hall. Has Donte DiVincenzo stop hitting shots yet? Okay, good. Now that Monday is behind us, let’s take a moment to reflect on the season that was and look ahead to 2018-19. Michigan is an elite basketball program. Before John Beilein took over in Ann Arbor in 2007, Michigan hadn’t reached the NCAA Tournament since 1998, a nine-year drought that made the historically great football school seem like just that — a football school. But that’s changed. Since the drought ended in 2009, Beilein has led the Wolverines to eight NCAA Tournaments, including finishes in the Sweet Sixteen (2017), Elite Eight (2016), and twice in the National Championship game (2013, 2018). After years of mediocrity, Michigan basketball now represents offensive efficiency, outstanding player development and clutch play in March. This season, Beilein — always considered an offensive mastermind — took an unproven collection of talent and won big with his defense, suggesting that the 65-year old coach is still evolving both as a tactician (he recently moved away from the 1-3-1 zone) and manager: His hiring of Illinois State assistant Luke Yaklich as “defensive coordinator” was crucial to the Wolverines’ run. With a decade of excellence under its belt and plenty of talent returning next season, Michigan has firmly established itself among the Big Ten’s elite programs. This season will forever sting for Michigan State and Purdue fans. Michigan State went 30-5 and won the outright regular season Big Ten championship. Purdue finished at 30-7, at one point winning 19 straight games. And yet, this season will probably leave a bad taste in both programs’ mouths for some time. For the Spartans, 2017-18 was a Final-Four-or-bust kind of year, with the return of Miles Bridges alongside future NBA lottery pick Jaren Jackson ostensibly giving Tom Izzo his best chance at a National Championship from a talent perspective since 2000. Instead, a season of offensive inconsistency led to an offensively-inept loss to Syracuse in the Round of 32. For the Boilermakers, bad luck prevailed when 7’2″ center Isaac Haas fractured his elbow in the First Round against Cal State Fullerton, his absence proving too much for Purdue to overcome against Texas Tech in the Sweet Sixteen. On paper, both seasons appear successful. In actuality, postseason disappointment will likely overshadow their 60 combined wins. Below is a review of how the selection process concluded for each Big Ten team and what they should expect in the first few rounds of the NCAA Tournament. Purdue, #2 seed, East Region. Fatigue played a role in Purdue’s late-season slide, which makes its first-round draw — a Friday match-up against Cal-State Fullerton — especially beneficial. While the Titans are the most aggressive squad in the country, scoring nearly 25 percent of their points at the free throw line, no team in the NCAA Tournament surrenders fewer points at the charity stripe than the Boilermakers. Isaac Haas and the rest of his front line should have no problem limiting Fullerton’s paint production. A potential second-round game with Arkansas could be a different story. The Razorbacks play an uptempo brand of basketball and have the size up front — 6’11” freshman Daniel Gafford (11.9 PPG, 2.1 BPG), in particular — to compete. Still, whether it winds up being Arkansas or Butler, expect Purdue to reach the East Regional in Boston. Michigan State, #3 seed, Midwest Region. Despite a 29-4 record and regular season Big Ten title, Michigan State fell to the #3 line because of its dearth of Quadrant 1 wins. As a consolation prize, the Spartans get to play in Detroit, where they’ll take on Patriot League champion Bucknell. The Bison are a balanced, cohesive group that nearly upset #4 West Virginia in last year’s Dance. They also have size up front (namely 6’10” all-league center Nana Foulland) and considerable depth. Michigan State’s size and talent should ultimately overwhelm the Bison, but a harder-than-expected match-up could make the Spartans’ Second Round game a bit more interesting. Arizona State and TCU are two of the best offensive units in the country, while Syracuse boasts the tallest lineup in college hoops. Now that we’ve had a few days to digest what happened in Madison Square Garden last weekend, let’s examine some of the biggest surprises and takeaways from the early Big Ten Tournament. Michigan established itself as a legitimate national threat. 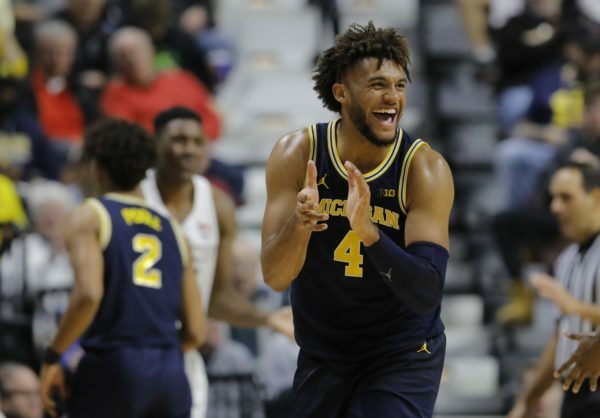 We knew Michigan was playing its best basketball of the season entering postseason play, and we knew it would probably make some noise last week in Manhattan. What we did not foresee was the Wolverines establishing themselves as a serious Final Four threat en route to a second straight conference title. After escaping Iowa in the second round, Michigan put together three of the most complete performances any Big Ten team has displayed this season. The Wolverines hammered bubble-dwelling Nebraska by 19 points. They beat Michigan State by double-figures for the second time in a row. They limited Purdue’s explosive perimeter game to just 4-of-17 three-point shooting. In all, Michigan’s defense — which now ranks sixth nationally in efficiency — held opponents to just 0.96 points per possession over the four-day run, which is remarkable considering that two of those offenses ranked among the nation’s top 10. 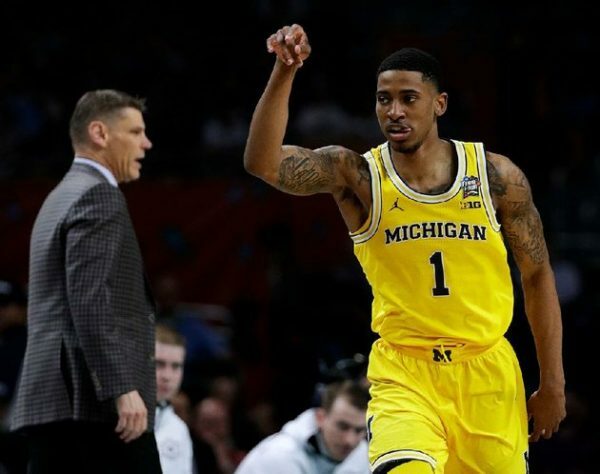 The Wolverines’ offense, led by Muhammad-Ali Abdur-Rahkman (15.0 PPG), executed John Beilein’s low-turnover, pick-and-pop offense to perfection. 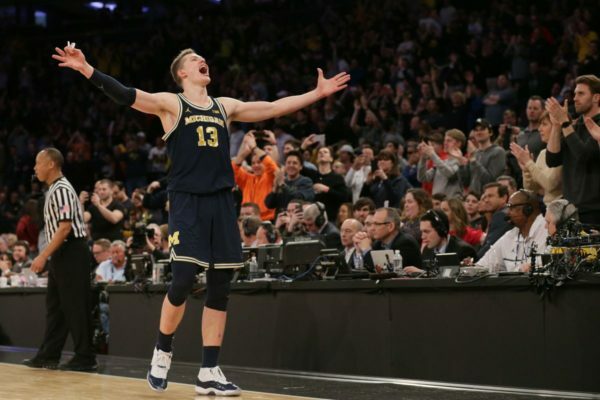 With its most balance in years and a profile good enough to now warrant a #3 seed, Michigan should no longer be viewed as a Big Ten “other”; the Wolverines are as much a Final Four contender as the Boilermakers and Spartans. It’s not even March yet and here we are, Day One of the Big Ten Tournament. It’s a strange feeling. Perhaps the only stranger feeling will be watching these predominantly Midwestern schools battle it out in Madison Square Garden, the venue where Willis Reed was immortalized and Frazier beat Ali and no Big Ten school outside of Rutgers sits within easy driving distance. Jim Delaney be damned, let’s examine the most important questions to be answered this week in Manhattan. Can Nebraska do enough to earn an NCAA Tournament bid? After losing to Illinois on February 18, Nebraska took care of business by beating Indiana and hammering Penn State on Sunday in a veritable NCAA Tournament elimination game. Which is to say, the Cornhuskers — currently among Joe Lunardi’s First Four Out — still have life. Yet, with a 1-5 record against Quadrant 1 opponents and a 2-3 record against Quadrant 2, they will probably need to beat at least one NCAA Tournament-bound opponent this week in order to have a legitimate case come Selection Sunday. Luckily, Tim Miles’ group should get that opportunity on Friday against Michigan — the lone Quadrant 1 opponent they managed to beat this season. Another win over the Wolverines will give the Huskers an argument; a victory over Michigan State in the semifinals would probably make them a lock. Key number: 29.7% 3FG. Nebraska did a masterful job taking away the three-point line this season, holding opponents to a Big Ten-best 29.7 percent mark from behind the arc — among the best of any power conference team in America. From massive upsets to historic comebacks and some ridiculous individual performances in-between, it was one heck of a week in the Big Ten. Let’s examine a few key takeaways. Purdue fans need not panic (unless, of course, Vincent Edwards’ injury lingers). 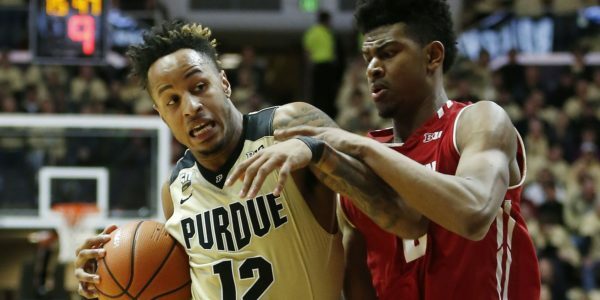 Entering its game against Ohio State on February 7, Purdue had won 19 straight, sat undefeated in the Big Ten (12-0), and looked seemingly unbeatable — especially in Mackey Arena, where it had crushed its opponents by 27 points per game. Then the Boilermakers stumbled against the Buckeyes. Then they dropped a nail-biter at Michigan State, which was followed by a stunning defeat at Wisconsin on Thursday. Suddenly, there were deep concerns about Matt Painter‘s crew. “Something just feels different,” senior Vincent Edwards said of the team’s struggles last Thursday. Take a step back and examine the losses, though, and it’s clear that bad luck was partially at play. Were it not for a last second tip-in against Ohio State and a last second three-pointer versus Michigan State, perhaps the Boilermakers would have gone 3-1 in their last four games. Maybe even 4-0. Their close win over red-hot Penn State on Sunday shows just how fine the line is between a quality win and a “problematic” loss. If there is real cause for concern, it’s this: Edwards (14.9 PPG, 7.8 RPG) missed the game against the Nittany Lions with an injured ankle. Assuming he doesn’t miss extended time down the stretch, Purdue should still be considered a Final Four contender. If his injury lingers, then the Boilers can panic.